March is the month when many high school seniors receive their acceptance letters from universities and are faced with making the decision about where they will spend the next four years of their lives. An acceptance from UCI will mean an opportunity to spend time in a rich and lively part of the country, near the beach(! ), at one of America’s great research universities – making lasting friendships, discovering new passions, finding important and influential mentors, preparing for the future, and being exposed to the best that has ever been thought, created and discovered. For those who receive that envelope: welcome to the Anteater family. We can’t wait for you to get here. Recently, three Anteater freshmen shared the experiences that made UCI their first choice. While their stories differ, they share a common thread – UCI is a vibrant community where students from all backgrounds can flourish and fit in. One of them, Jordan Bentley, a freshman business information management major, chose UCI after attending iRISE, an overnight program in which newly admitted students explore the campus and experience our strong minority community. Though there were many factors that “sealed the deal” for Bentley, he said he was drawn to the campus because he saw an opportunity to get plugged in and build strong bonds with his peers and professors. At UCI, it’s our job to equip students with the necessary tools to launch their brilliant futures. To ease the transition into college life, UCI offers Summer Bridge, a six-week program for low-income, first-generation and disadvantaged incoming students. Participants get a head start on their degrees, meet students from similar backgrounds and get acquainted with campus resources. Alumni of the program like senior English major Christina Rodriguez say Summer Bridge was a vital component to their academic success. Exciting news is buzzing around campus. 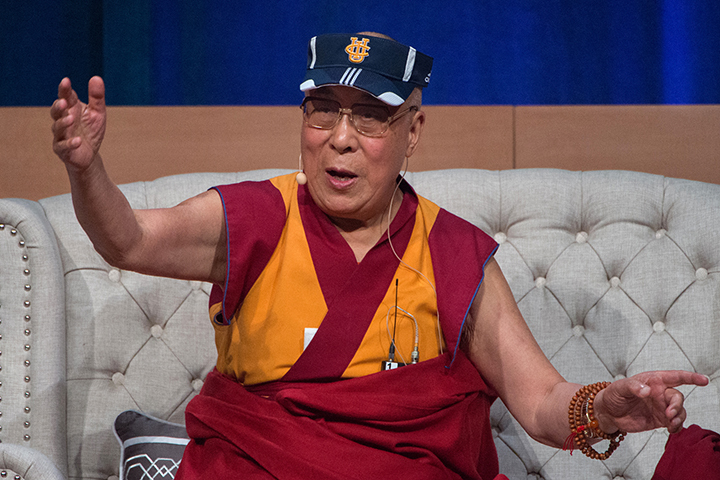 As UCI celebrates its 50th Anniversary, the XIV Dalai Lama announced he will visit the campus to celebrate his landmark 80th birthday in July. This is especially exciting because it will be the third time the Nobel Peace Prize winner will have come to UCI to speak to students about their role as leaders in the world. He also will address issues related to climate change, a subject in which President Barack Obama said UCI is "ahead of the curve." UCI has a longtime relationship with the respected peace leader. In 2006, the campus established the XIV Dalai Lama Endowed Scholarship, awarded annually to UCI students who are passionate change-makers. Our current Dalai Lama scholar, Kathy Dong, is a political science major who launched a mentorship program between UCI undergraduates and students at Los Amigos High School in Fountain Valley. We are honored and humbled that the Dalai Lama has decided to visit our campus once more to share his wisdom with our students. I am very pleased to announce that Dr. Howard Federoff, Georgetown University’s current executive vice president for health sciences and executive dean of the medical school, will be joining UCI as our new vice chancellor for health affairs and dean of the School of Medicine. In this new position, Dr. Federoff will provide vision and direction for UCI’s health enterprise, overseeing and guiding the development of UC Irvine Health. His unique and exceptional abilities will ensure that UCI accelerates its contributions to human health and provides the people of this region with world-class patient care. This year, our School of Law was ranked for the first time by U.S. News & World Report and debuted at No. 30 overall, an impressive feat for a newly accredited law school and one that underscores the quality of UCI’s talented faculty, staff and students. The school also was ranked 11th in clinical training and 10th in student diversity. In addition, graduate programs in The Paul Merage School of Business, the School of Education, The Henry Samueli School of Engineering and the School of Medicine each continued to rank in the top 50. Last month, we celebrated Black History Month with an urban music conference organized by Nicole Mitchell, professor of music and acclaimed flutist, and our new program in Integrated Composition, Improvisation and Technology. The two-day celebration of music and culture featured discussions and performances by artists including Greg Tate’s Burnt Sugar the Arkestra Chamber, Ryat, Ras G, Ugochi and the Agindotan Family Band. It proved to be an excellent opportunity to engage in dialogue about the role of music as a platform for social commentary. People at UCI are actively making a difference in the real world, the digital world, and the space in which the two intersect. 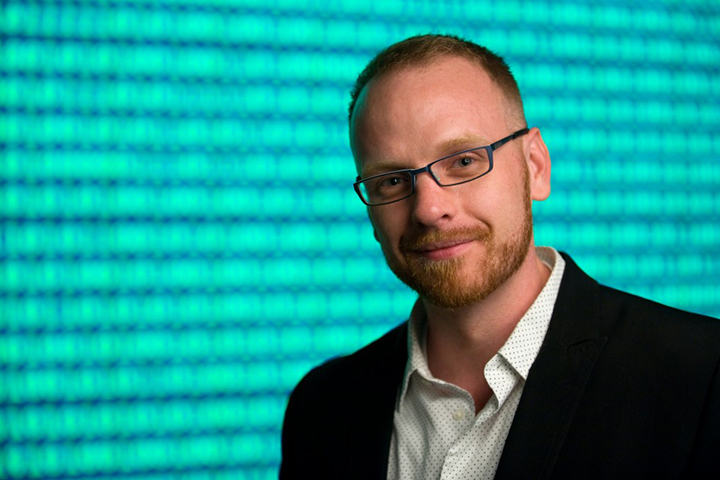 Jed Brubaker, informatics doctoral candidate, played an instrumental role in developing Facebook’s new Legacy Contact feature, a policy on postmortem account stewardship. Brubaker was retained by Facebook as an academic consultant to develop the feature that allows Facebook users to decide what happens to their account when they die by selecting a steward to act on their behalf. The hope is that family and friends will be able to honor the legacy of their lost loved ones by posting memories, photos and memorial service information. 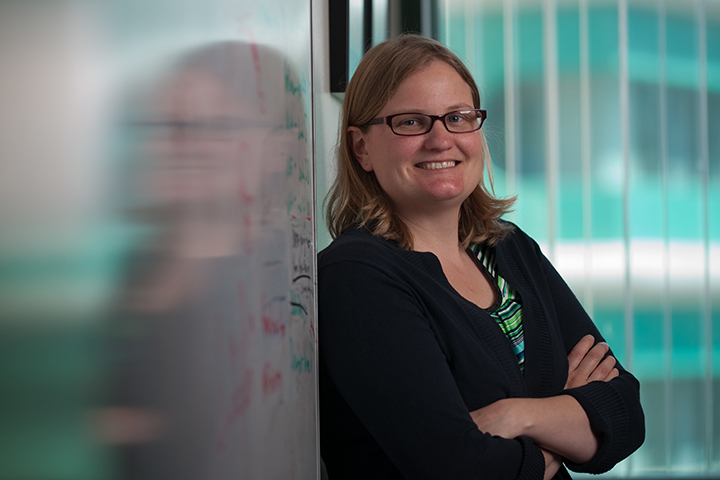 This month, we congratulate Jennifer Prescher and Aaron Esser-Kahn, assistant professors of chemistry, who were recently named Sloan Research Fellows. The prestigious award recognizes early-career scientists who are often referred to as the next generation of scientific leaders. UCI now has 57 faculty members who have been named fellows since 1967, including renowned chemists John C. Hemminger and Ara Apkarian. 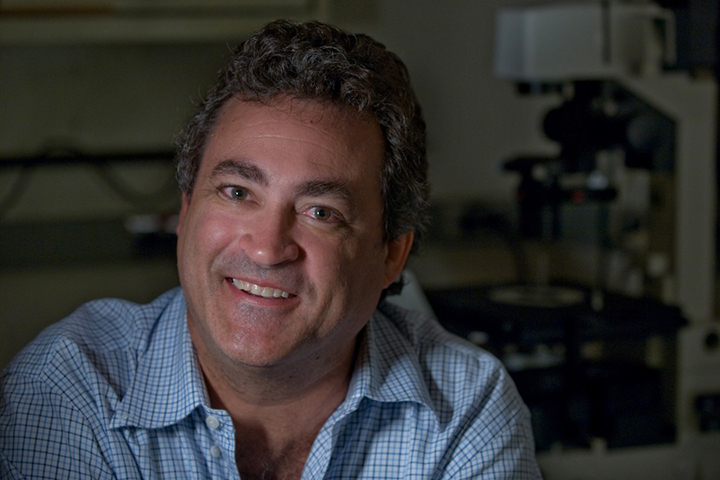 Charles Limoli, professor of radiation oncology, is making strides in alleviating “chemo brain,” a longtime side effect of cancer treatment. The researcher recently discovered that human neural stem cell treatments may be the key to reversing the debilitating learning and memory deficits that occur after cancer patients receive chemotherapy. Limoli’s work has the potential to dramatically improve the quality of life for thousands of cancer patients and survivors in the United States alone. Recently, UCI students, staff, faculty and friends came together in the spirit of philanthropy and fun for the annual Care-a-thon, a dance marathon that benefits UC Irvine Medical Center’s Neonatal Intensive Care Unit. The six-hour dance raised a record $26,312, a 32 percent increase from last year. Every dollar raised goes toward the NICU to purchase life-saving equipment such as cooling units that help prevent brain swelling in infants born prematurely or with complications. It was inspiring to see the UCI community team up to support such a worthy cause and a sound reminder that together we can achieve truly meaningful impacts in the lives of others. Finally, history happened at the Honda Center on Saturday, March 14: Our men’s basketball team won the Big West Conference championship. The Anteaters will embark on their first trip to the NCAA Tournament since the team gained Division I status in 1977. Our journey begins Friday, March 20, in Seattle against the University of Louisville. I hope you will celebrate this historic milestone as UCI takes part in March Madness. We can’t wait to find out how Anteaters dance. Congratulations! Eater Nation is bursting with pride!